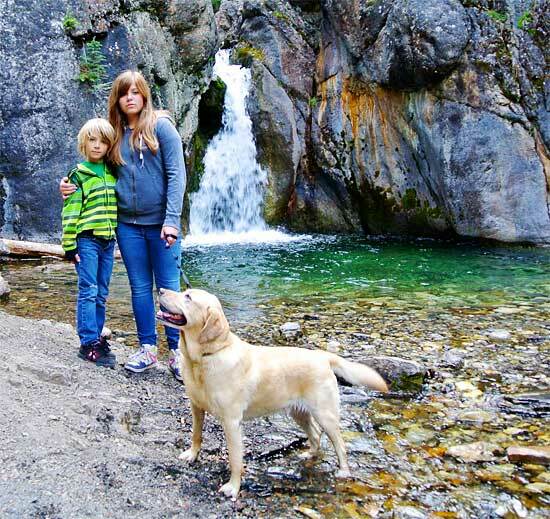 Every year, thousands of families travel to the mountain parks for adventure and relaxation. And for many, no family member is left behind – whether it is the dog, cat, snake or ferret. Pet friendly accommodation is becoming more popular as people venture away from home with their beloved family pet. And accommodators are increasingly welcoming furry family members with open arms. 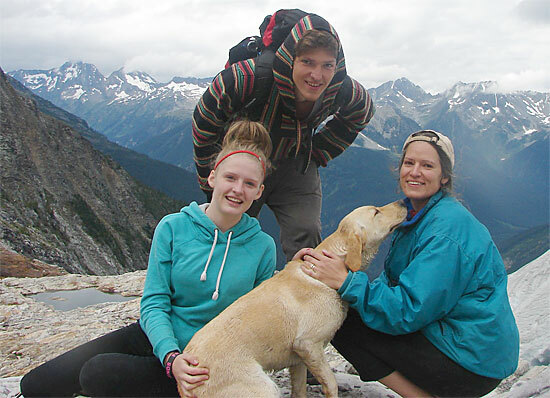 Approximately 50 per cent of hotels in the mountain parks are pet friendly. In the Kananaskis/Canmore/Banff/Lake Louise area, expedia.ca lists 34 of 82 accommodators as pet friendly, and in Yoho National Park, 11 of 25 have pet friendly rooms. Millen says that although they have had cats, snakes and ferrets as guests at the hotel, dogs are the most common pet companion. On long weekends in particular, at least 10% of guests have a dog staying with them at the hotel. Many hotels offer a welcome package when dogs are booked in advance. At the Delta, canine guests are greeted with an amenities package including a dog bowl, treats, toy and dog bed. And for guests worried about leaving the furkid unattended in a hotel room, the front desk staff will dogsit, including regular walks, for up to three hours. The program, which started in June 2012, donates all proceeds to the Bow Valley SPCA, and in a five month period, has generated more than $370. Although being pet friendly is not a new approach for the Delta, other accommodators in the mountain parks are adapting to the demand for pet friendly accommodation and have only recently welcomed pets. Buffalo Mountain Lodge in Banff, Alberta has been pet friendly for less than a year and has already doubled the number of pet rooms they make available to guests. Like many other hotels that offer pet amenities, Buffalo Mountain Lodge is also initiating a dog-friendly welcome package, including locally sourced elk dog treats from the same farm as the meat they serve in the on-site restaurant. Both Millen and Parkes support the pet friendly approach, but they also say it’s important for pet owners to be responsible – not only in the hotel, but outside as well. Parkes agrees that the wildlife component is extremely important for pet owners to be aware of. With the possibility of a guest opening the door in the morning to find a deer on the lawn, it’s especially important for pet owners to be aware that they are in a park with wildlife. It is also important that pet owners take advantage of the services and amenities available by booking their pets as a registered guest. Although hotels charge a pet fee for the necessary cleaning that is required, it notifies staff that a pet is in the room, and if there are any issues, they can contact the owner directly. Not all dogs are perfectly well behaved all the time, but Millen says that shouldn’t prevent owners from bringing them to a hotel. For the travellers more inclined to camp on their mountain holiday, most campgrounds in the mountain parks permit pets to stay, but it is wise to confirm with the campground when booking. Even more so than hotel accommodation, wildlife awareness is important. Leaving dog food out in the open, for example, can attract wildlife to the campsite. Leaving a beloved pet at home is a tough decision. Doggy daycare is an option. Friends or family could look after him/her. A house-sitter can make sure your dog is fed and has water. Or bring your pet with you. Walk the trails, enjoy the snow or the sunshine, breathe in the fresh air. With hotels opening their doors to our furry friends, there is no decision to make. Your furkid will thank you. Used to refer to a pet that is treated as though it were someone’s child. – Bring a leash – dogs need to be leashed in most areas of the mountain parks and in all hotel public areas. – Register ahead – not only do dogs get a welcome package at many hotels, staff can contact you directly if there are any issues. – Make them tired – go for a walk, hike, or run before checking into the hotel. A tired dog is a (usually) quiet dog. – Bring a bag (or ask for one) – clean up after your dog to limit the impact on other guests and local wildlife. – Book dogsitting – leave your room without worry. If offered, take advantage of the dogsitting offered by some dog-friendly hotels.